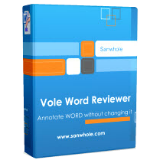 Vole Word Reviewer Professional 3.59.7061 was available as a giveaway on June 12, 2017! View and review MS Word documents without Microsoft Office Word installed. Review and digitally sign Word documents without any modifications to the file. Create multimedia review via integrating local disk images, audio, video, documents and online resources such as YouTube, Vimeo video and HTML code into reviews. Preview most media in built-in Media Player. How would you improve Vole Word Reviewer Professional 3.59.7061? 3 Years 2 Websites Web Hosting. Regular price $36 now FREE! No HTML coding, no drag and drop and no online editing, just upload Microsoft Word file. At least seconds, at most minutes, and you can create and publish professional stunning website with customized domain. You must redeem the code at promotion day. How to redeem – search ‘redeem’ in support forum for detail. So this is for users who do not already use a Word Processor that can open and read (and edit) Microsoft Word files. How many of these pepple can there be. Many people, maybe most don’t have a Word processor. But most people have more than one Word files. People can view the Word file via many free tools. But they cannot make any notes to Word files without Word processor installed. Certainly, they cannot make multimedia based notes to Word files. Even if they have Word processor installed, the operation will modify the Word files. Vole Word Reviewer can save user text notes and multimedia notes without changing the file, and without Word processor installed. How does the software do it? The software separates user notes from the Word file when save, and combine them when display. So, for personal usage, user can make reviews to the paragraphs and create comments to particular words in the paragraph’s content. And more, user can link local images, audio and video and online resources such as YouTube, Vimeo video etc. to the paragraphs or particular words. All the linked media will be displayed automatically when user browses the relevant content. This is very helpful when people reading or learning a Word file. rww, Many people, maybe most don’t have a Word processor. But most people have more than one Word files. 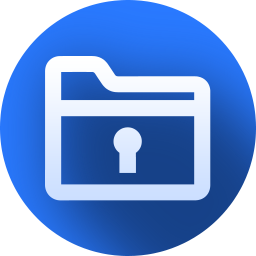 People can view the Word file via many free tools. But they cannot make any notes to Word files without Word processor installed. Certainly, they cannot make multimedia based notes to Word files. Even if they have Word processor installed, the operation will modify the Word files. 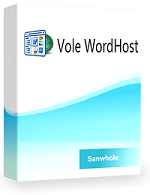 Vole Word Reviewer can save user text notes and multimedia notes without changing the file, and without Word processor installed. How does the software do it? The software separates user notes from the Word file when save, and combine them when display. So, for personal usage, user can make reviews to the paragraphs and create comments to particular words in the paragraph’s content. And more, user can link local images, audio and video and online resources such as YouTube, Vimeo video etc. to the paragraphs or particular words. All the linked media will be displayed automatically when user browses the relevant content. This is very helpful when people reading or learning a Word file. David Murphy, You summed up my sentiments exactly. David Murphy, view and then review just for fun:). David Murphy, Indeed. What does this do that the latest Word Viewer doesn't? ?